Haitians have repeatedly witnessed how Washington carries out “regime change” in the past two decades. In the lead-up and aftermath of the 1991 and 2004 coups, we saw how the U.S. concocted organizations like the Democratic Convergence and Group of 184 through the National Endowment for Democracy (NED) and the Central Intelligence Agency (CIA). U.S. subversion has succeeded twice in Haiti, but it has failed miserably dozens of times in our neighbor Cuba. Let’s look at the most recent destabilization campaign they are cooking up for our Cuban brothers and sisters. The U.S. government has been trying to snuff out the Cuban revolution for over 50 years. 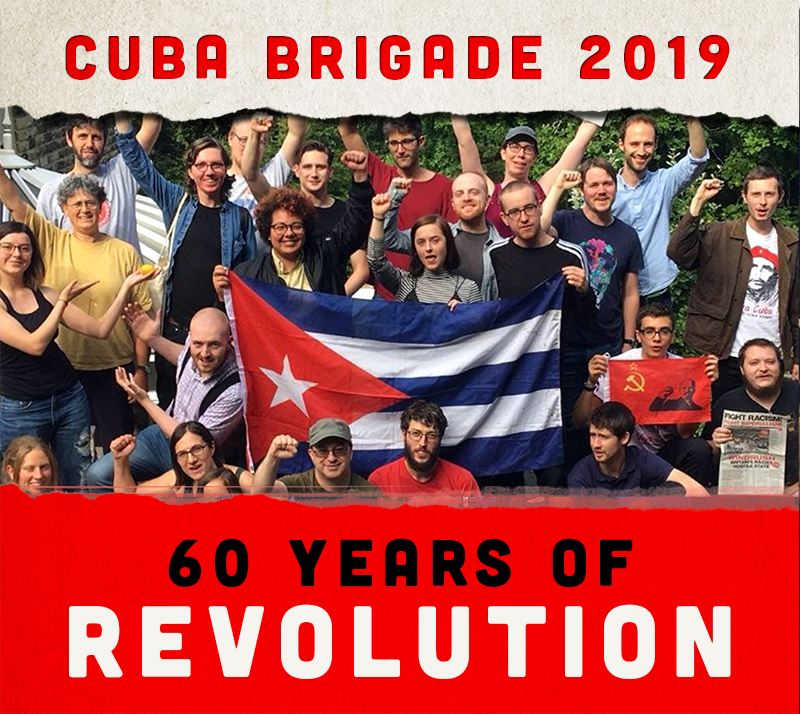 Through multiple attacks by the CIA, it has tried everything, but the Cuban revolution continues on its socialist path, benefitting not only the Cuban people but other peoples of the world – with doctors, soldiers, and technicians – thanks to Cuba’s revolutionary internationalism. Now, the U.S. is trying to take advantage of popular struggles, like those in the Arab world, against the very governments which it used to support. These struggles are often led by the large, educated young generation of 15 to 30-year-olds. Using this model, the U.S. wants to prepare Cuba’s youth for a counter-revolution. By working through a Cuban-American organization called “Roots of Hope” – "Raíces de Esperanza" in Spanish – U.S. officials dream of organizing a "Cuban spring." Roots of Hope was launched in 2003 by a group of idealistic young Cuban-Americans. Their website says: "We are a network of more than 3,000 students and young professionals across the U.S. and abroad focused on empowering Cuban youth. We seek to inspire young people to care about Cuba, think outside the box and proactively support our young counterparts on the island through innovative means. In 2003, we were founded by college students as an association between the Georgetown and Harvard Cuban American student groups. Today, we encompass a dynamic and diverse group of young servant leaders throughout the U.S. with students at more than 55 universities and young professionals in Boston, New York, Washington, D.C., Los Angeles, Chicago and Miami. We hope to make a positive impact on Cuba." One of the main projects of Roots of Hope is to send cellphones to Cuban youth to “help them connect with each other.” It has also established a fund to promote travel to Cuba by young Cuban-Americans. According to its leaders, the organization is apolitical, with members having very different views on U.S. policy toward Cuba. Since its founding in 2003, Roots of Hope has sponsored academic forums at Harvard, Georgetown, Princeton, Duke and the University of Pennsylvania, through a network of over 2,000 students, young professionals and graduates, representing more than 87 schools and 28 affiliated organizations. They define their mission as "empowering youth to become authors of their own future." Their vision: "A day when Cuban youth are empowered with the necessary skills and opportunities to make a successful future for themselves and their families in Cuba. A day when youth on the island can freely participate in open exchanges about their ideas, hopes, dreams, and realities. A day when Cuban youth can freely say, think, feel, or do what they want and not what they're told – without repression. When Cuban youth in and outside of the island can be reunited." Is this what is called apolitical? Isn’t the political message loud, clear and concrete? Gorordo works in the Office of Public Engagement and Intergovernmental Affairs at the White House. He also worked with the George W. Bush administration’s Cuba Transition Coordinator, Caleb McCarry, who was responsible for defending U.S. interests in Cuba and promoting the Cuban revolution’s destruction. Another founding member of Roots of Hope is Tony Jimenez. He said the group is nonpartisan, that the organization works hard to stay above the political fray regarding Cuba. However, Roots of Hope is an organization of the reactionary right, supported by the Cuban Democratic Directorate, and the Cuban American Legislators, two virulently anti-Cuban-Revolution organizations based in Florida. So here we have an organization which purports to not support or endorse any political group or candidate, and to be apolitical. Is it due to this complete lie that many young people in the United States have innocently joined it, unaware of the truth? This organization, which claims to work for the unity of young Cubans, creating a link between young people in Cuba and the United States, is a rising force which the enemies of the Cuban revolution have concocted to destabilize Cuba. Its real role is to assist the struggle of U.S. imperialism against Cuba. They aim to, as their website says to “use new media to promote positive social change in the U.S. and Cuba.” Of course, Roots of Hope did not choose other ways to help young Cubans, like, say, Pastors for Peace, which brought busloads of medicine and medical equipment. Instead, Roots of Hope sends Cuba cellular telephones so it can try to corrupt young people with counter-revolutionary text messages and voice mails. How can this organization, which claims to be apolitical, be linked to and working in solidarity with the infamous “Ladies in White” (Las Damas de Blanco) and support the arch-reactionary blogger Yoani Sánchez. Who’s fooling whom? In fact, the work of Roots of Hope is not much different from that done by the accomplished international terrorist Orlando Bosch Avila and his criminal organization, of which the terrorist Luis Posada Carriles is an influential member. On their site, Roots of Hope even sends a solidarity message to the Ladies in White, employed by the CIA: "You sent a strong message of support to those who struggle for human rights and nonviolent change in Cuba. With this momentum, together let’s take the next steps to make an impact on the island and empower those who hunger for change in Cuba!" And who funds Roots of Hope? In addition to the U.S. government, Roots of Hope is sponsored by Bacardi Rum, Liberty Power, Hispanic Magazine, Navarro Discount Pharmacy, and a host of other counter-revolutionary companies. On Sep. 21, a Haïti Liberté reporter attended a fundraising activity organized at the Chelsea Art Museum in Manhattan for Roots of Hope and another organization called "100 Cameras." At the event, one of the organizers clearly stated that, in Cuba, people are already wearing Roots of Hope T-shirts, and they are clear about the organization’s counter-revolutionary goal. Roots of Hope also attended the Conservative Political Action Conference (CPAC) which took place on Sep. 23 in Orlando, Florida. During this conference, Roots of Hope was part of a panel entitled "Paralyzed by communism: Freedom of expression in Cuba." "Why Cuba? ... The island remains the world’s longest lasting socialist government. And right now, Cubans face limited possibilities restricted by their own government. And these limitations tend to create a climate of fear that discourages creativity, innovation, and entrepreneurship... We knew that during this time of significant political change between Cuba and other parts of the world, we could provide the opportunity to see Cuba through the eyes of a child... Without any political agenda. It would be the children’s raw perspective that would raise awareness and funds! We knew that if 100cameras had the opportunity to empower these children, then we could empower the grassroots efforts for positive social change within their communities. And ultimately, even the entire island... And we asked ourselves instead, “Why NOT Cuba?” Besides, a project like this has never been successfully done before within Cuba... Help us empower the Cuban youth through the voice of photography." In short, these two organizations – Roots of Hope and 100 Cameras – are trying to use technology to promote social conflicts, especially in Cuba, since they failed to do so by acts of terrorism and above all by the economic blockade. Imperialism is coopting the techniques pioneered by the popular uprisings against their client regimes in Egypt and Tunisia. For sure, the U.S. government will continue its efforts to destabilize the Cuban socialist system, even though their attempts to destroy the Cuban Revolution have always failed. Now they are working at the base, going to young people, even children, in an effort to corrupt them to create a new generation of men and women who can become imperialism’s agents and try to return Cuba to being the U.S.’s whorehouse. Fortunately, the Cuban people are organized, conscious, and alert. Let us Haitians continue to show our solidarity with the Cuban people, the same way Cuba has always provided solidarity to us.